There’s a lot of pressure at Christmas to find that perfect gift that’s within your budget. Some of us approach the challenge with a sense of fun. Others find it extremely daunting. Regardless of whether you’re buying for a loved one or shopping for a workplace Secret Santa, Christmas shopping and Christmas crafting doesn’t have to be scary this year. 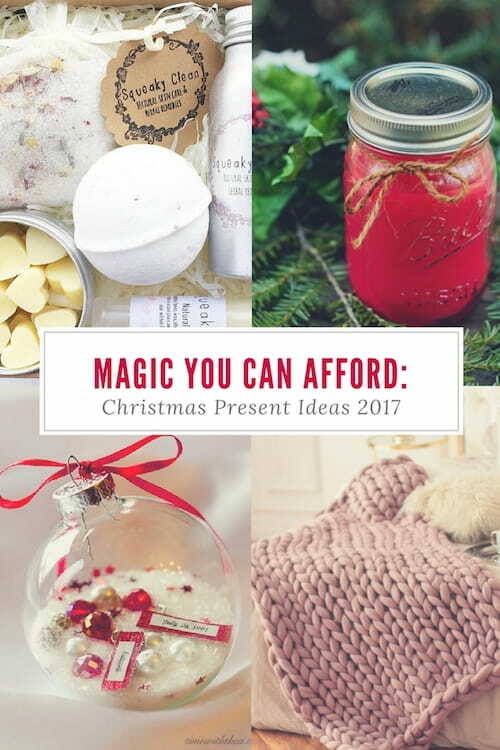 This super helpful list of Christmas Present Ideas 2017 will help you find something that will truly resonate – with the receiver and with your back pocket! Rediscover the joy of Christmas giving with magic you can afford. The key to keeping costs down is to embrace the wonders of DIY. If you’re gifting something early in the season, it’s completely OK to be as Chrismassy as you like. 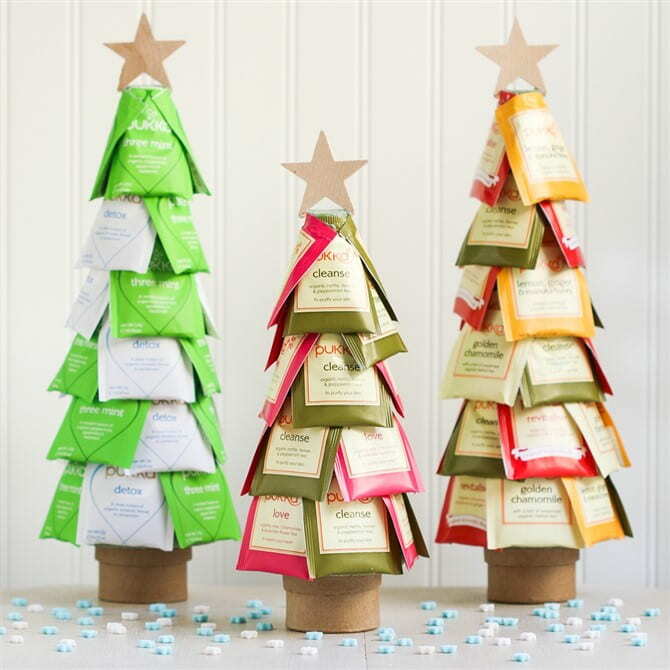 The Tea Trees and Personalised Glass Ornaments are very Christmas focused, with the tea craft being something practical any tea lover will appreciate immediately and the ornament being a treasure they’ll bring out every Christmas, year after year. 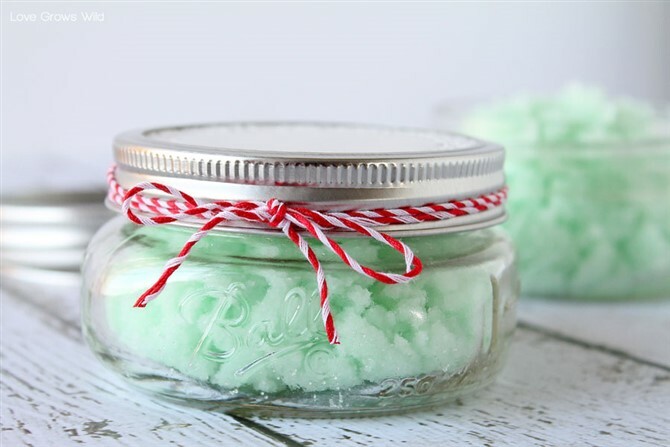 The Mint Sugar Scrub is something special you can make a large batch of then simply take time in crafting something beautiful to present it in, like this gorgeous jar. 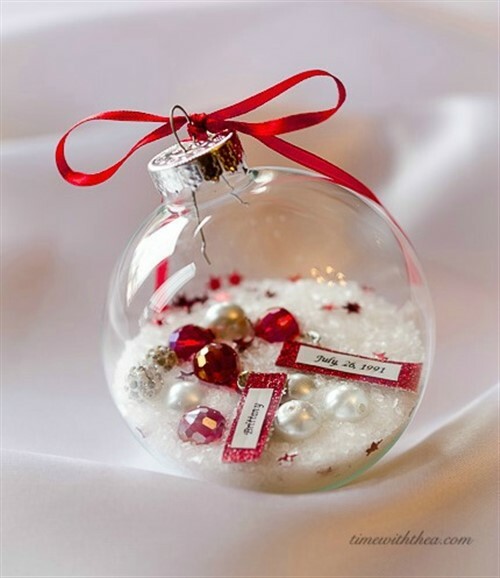 A wonderful idea for the time rich, but cash poor Christmas crafter. Not a crafter? The wonderful thing about shopping on Etsy is you get to reap the benefits of other people’s handmade crafting talent and gift that instead. 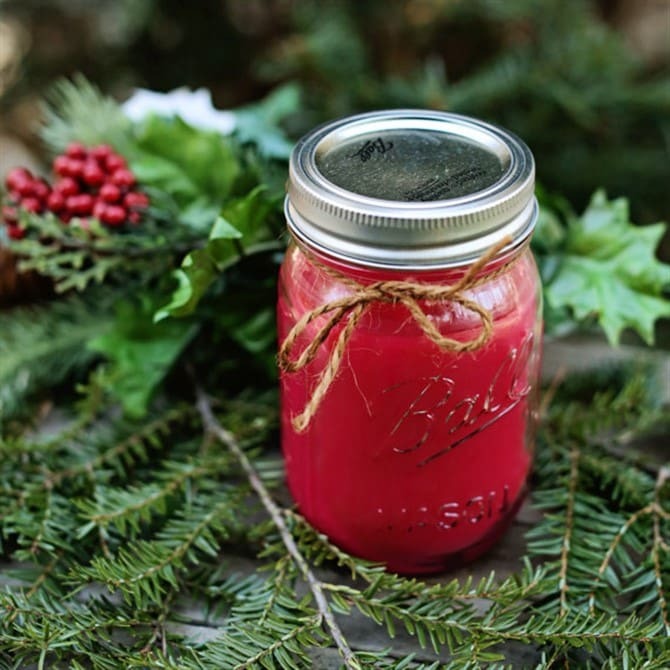 Some of the finds on Etsy are incredibly affordable, like this scented mason jar candle. This candle is in Christmas red and the scent is ‘Christmas Cabin’, but the Etsy store also boasts unique scents like Cream Brulee, Gingerbread Cookies and Wild West. Try mastering that at home! 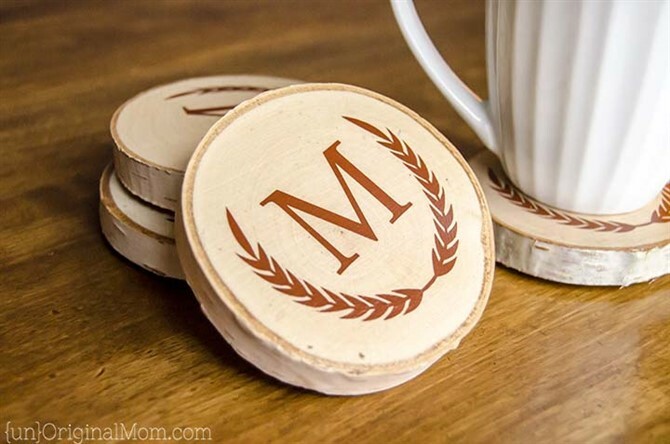 For those who love to craft, the Snow Globe and Painted Wood Slice Coasters are fun projects that result in something special to gift. 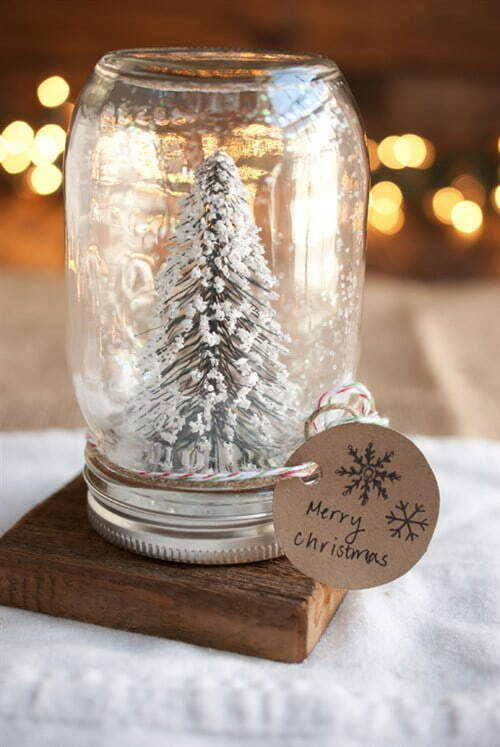 To say Australia is a bit bereft of snow at Christmas is an understatement, so the snow globe lets your Winter loving friend bring a piece of that Winter wonderland inside their home. Meanwhile the coasters are a practical yet personalised gift for that hipster in your life. 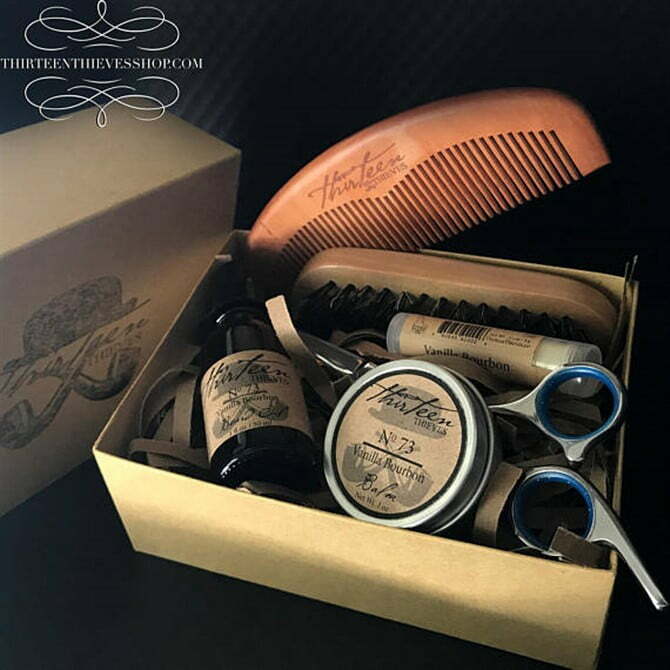 Keen to gift something a bit upmarket to that someone special in your life? 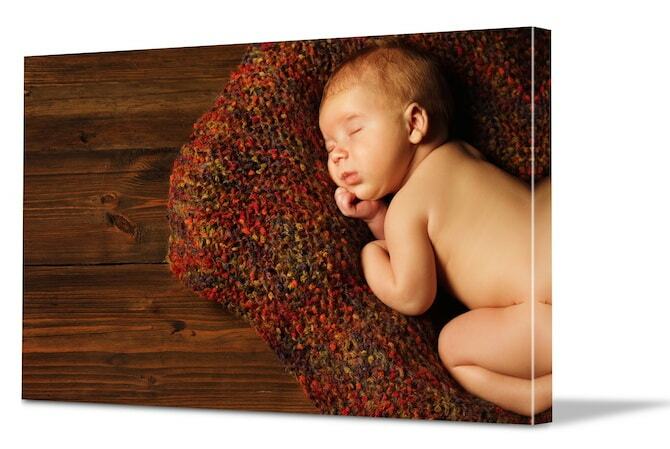 For under $50, you just can’t go past a canvas photo print. 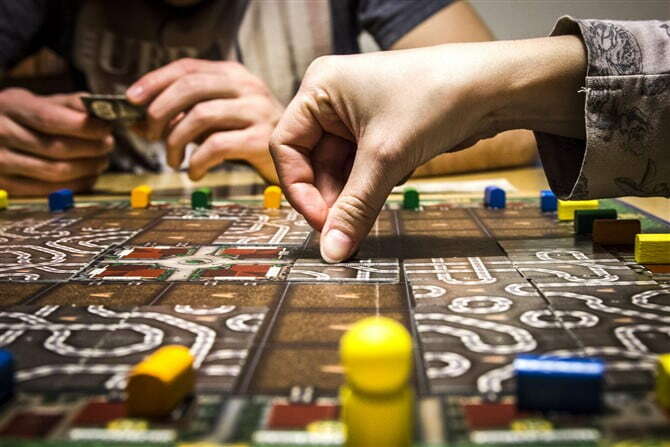 In fact, with Christmas specials you may even find something under $20. This means you can afford to honour the whole ‘One for her, one for me. One for him, one for me’ Christmas shopping experience. Don’t be shy when gifting Christmas decorations. 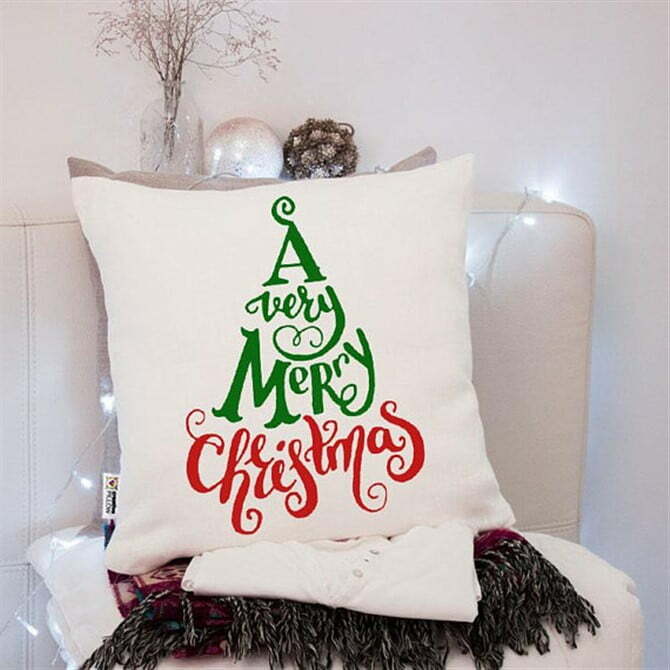 A Christmas cushion will make for the perfect decoration in the living room where the post-lunch nanna nap tradition can be played out in style. 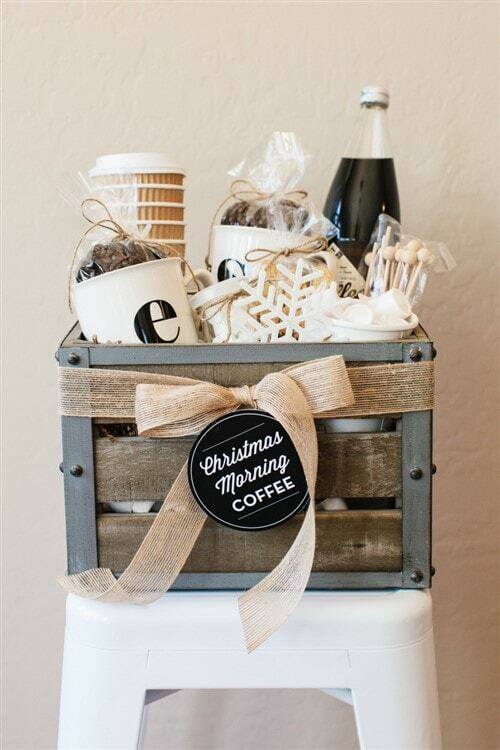 Speaking of napping, perk up the coffee lover in your life with a gift basket of coffee, fantastic for Christmas morning. An absolute ‘must have’ for new mums and those who’ve travelled a long distance to make it home for Christmas. We may not have a white Christmas in Australia, but we do have really awesome airconditioning. 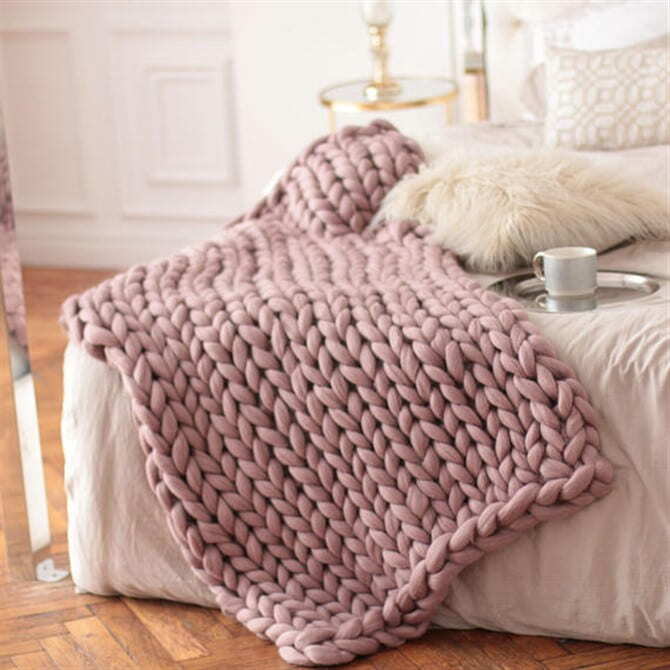 This gorgeous, chunky knitted blanket is not only gorgeous, but ideal for that one person always complaining about how cold the aircon is. So it’s really a gift that keeps on giving 12 months of the year! There’s a reason the sale of bathroom products skyrockets at Christmas time and it’s not because we can’t think of anything else to get someone! Bath goods are just not something we tend to treat ourselves to. Think of that person who’s struggling to make ends meet and gift them something they’d never – in a million years – buy for themselves like this Bath And Body Set, below. Dear Santa. 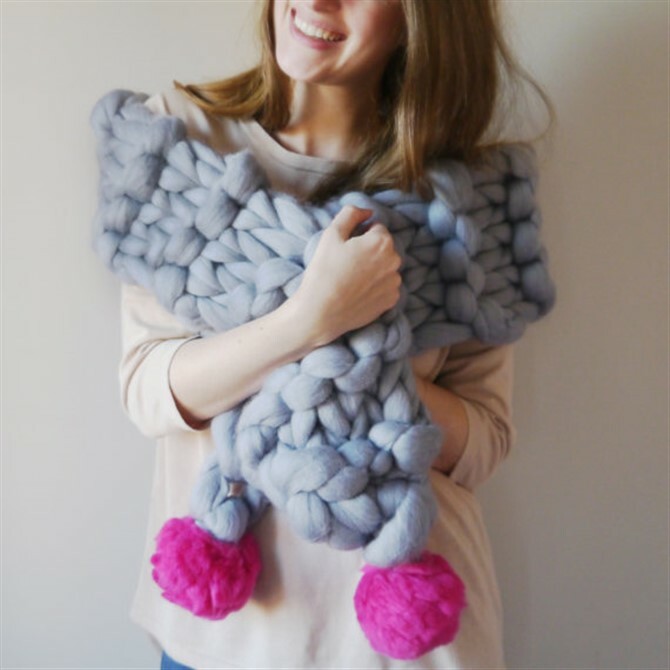 Please bring me this pom pom scarf from the North Pole, NOW! I don’t care if it’s Summer. I have to have it! On Etsy, you’ll discover high quality hand crafted ‘I have to have it!’ gifts for both men and women, like this fun Pom Pom Scarf and refined Beard Care Kit. Etsy gifts are crafted all over the world, so just make sure you take note of the postage timeframes, so no-one is left disappointed. The list of free Christmas gift ideas is pretty endless. It’s how you package them that matters. 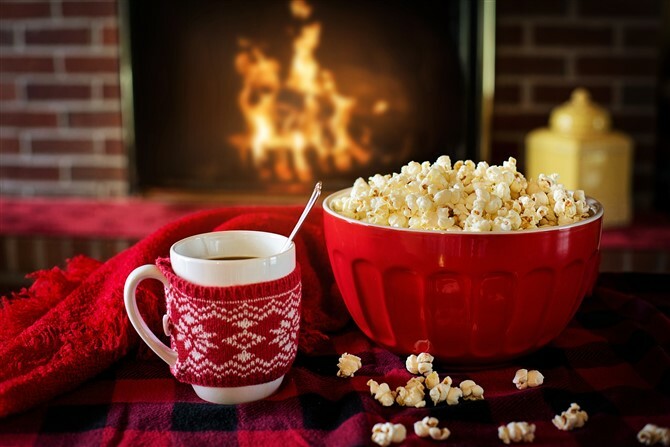 If you’re a big family who are never in the same place at the same time, a family movie night or games night makes for a wonderful gift for everyone in the family. If you’re a couple who often forget to prioritise romance, a bubble bath or massage are two ‘at home’ treats you can gift to a partner. If you’re a group of friends who keep failing to get together, a gift of a game of beach cricket or frisbee in the park might be in order. Write the promise in a card, seal it up in an envelope and hand it over. Not cheap at all. In fact, very very thoughtful.